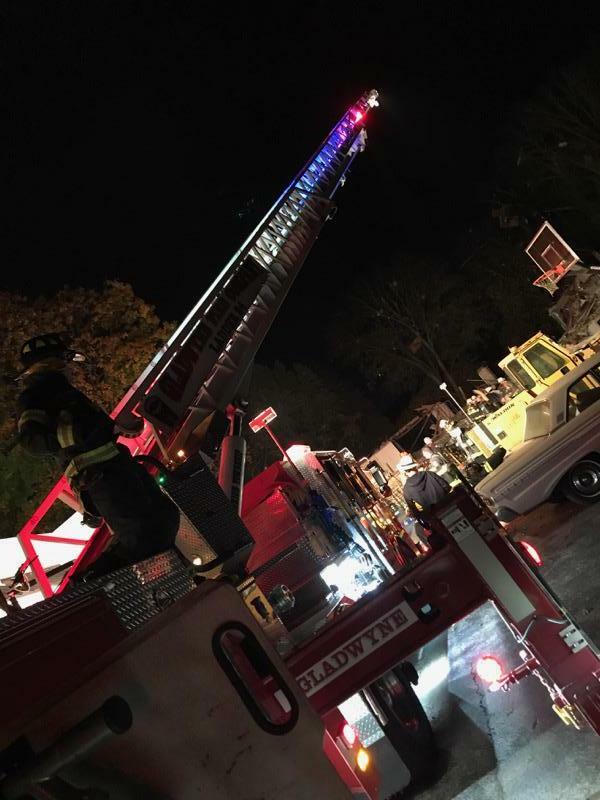 At 7:58 pm yesterday, the Gladwyne Fire Company was dispatched to an unknown type fire in the area of Old Gulph Road and Mill Creek Road. Dispatchers also stated that they were receiving numerous calls reporting an explosion. While responding, Engine 24 and Deputy 24 were advised of a reported dwelling fire on Dodds Lane. Fire units diverted to Dodds Lane and arrived to find a large mansion that had been leveled by an explosion. Gladwyne firefighters quickly determined that all occupants were out of the building and uninjured. PECO was immediately notified to respond. Gladwyne firefighters, assisted by firefighters from Ardmore, Bryn Mawr, and Narberth deployed precautionary hose lines and checked nearby structures for hazards and damage. A small fire in a debris pile was extinguished. While operations were ongoing at Dodds Lane, several additional calls were received reporting fire alarms within Gladwyne. All these calls were handed by Lower Merion fire companies as well as fire units from Conshohocken and West Conshohocken who were standing by in the Gladwyne and Ardmore firehouses. After all fire-related duties were completed, control of the scene was transitioned to Lower Merion Police and the Lower Merion Township fire marshal for the investigation.